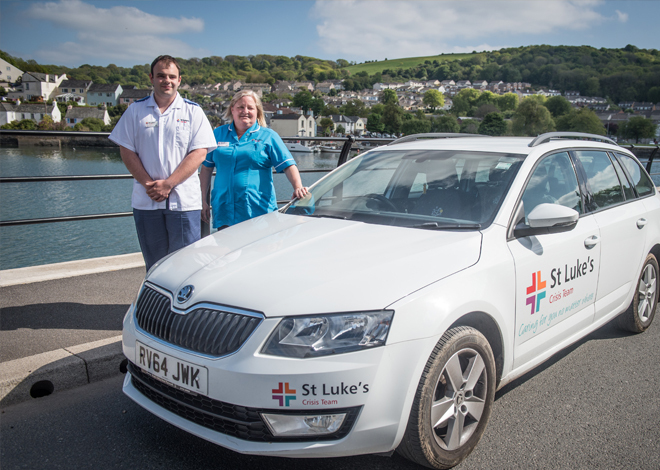 Welcome to the St Luke’s Hospice Plymouth FAQs page. Find below answers to our most frequently asked questions. We are here to help you with any queries you may have. If you have a query that has not been answered by the FAQs below, you can email us at info@stlukes-hospice.org.uk. A hospice provides a range of care related services and facilities to those individuals living with a life-limiting illness. Do you only care for people with cancer? No, although the majority of our patients do have a cancer diagnosis, we also treat other life-limiting illnesses such as motor neurone disease, heart failure, multiple sclerosis and chronic lung disease. We see patients from across Plymouth, South West Devon and East Cornwall. Do I have to pay for St Luke’s services? We provide our services free of charge. 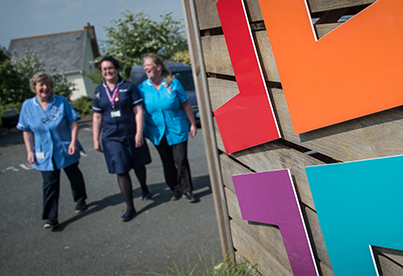 We are partially funded by the NHS, but we still need to raise more than £4 million every year to continue to provide our care, so your generous donations are vital to our work. 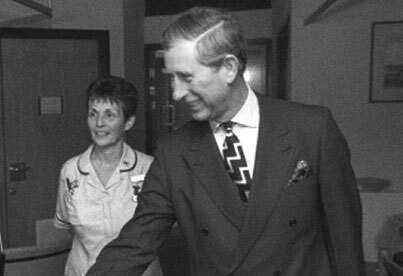 Palliative care means all-round care for patients with a life-limiting illness. In addition to specialist medical treatment for pain control and symptom management, it also encompasses emotional, spiritual and social care. I would like to work for St Luke’s, how do I apply? Please have a look at our current opportunities. If you can’t see anything suitable then please sign up for our job alerts to be notified when something becomes available. Our catchment area is the City of Plymouth and surrounding areas of South West Devon, including those around Salcombe, Kingsbridge, Ivybridge, Tavistock and the Moors. To access this service, initially, you will need to be referred by a GP, hospital doctor, district nurse, palliative care teams or other healthcare professionals. Do people have to pay? No, the care of St Luke’s at home to patients and families is free of charge. However, St Luke’s is a registered charity and receives only a small part of its funding from the NHS. What is the Befriending and Bereavement service? The St Luke’s befriending and bereavement service is a team of trained staff and volunteers who offer help through supportive, reliable relationships and practical help. You can access the service at any time through the bereavement coordinator. You can ask a member of St Luke’s staff to ask for these services for you or please contact the bereavement co-ordinator directly on 01752 401172. Why are people admitted to your specialist unit? Patients are admitted for a number of reasons, but it is normally to help in the management of complex distressing symptoms or for end of life care. How long do people stay at the specialist unit? A patient’s length of stay can vary from weeks to months. 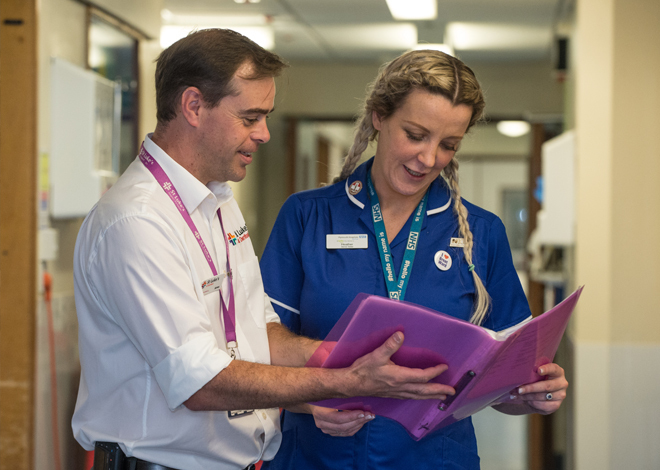 We are not a long stay unit, and once we have satisfactorily addressed symptoms or other issues we will aim to discharge a patient back home, provided their condition is stable and they are not here for terminal care. Sometimes, if discharge home is not possible, we may have to discuss discharge to a nursing home. Visiting times are flexible, but visiting is generally encouraged between 11am – 8pm. Families, friends and children are welcome. We ask all visitors to please wash their hands by using the antibacterial hand gel available before entering and when leaving the unit. 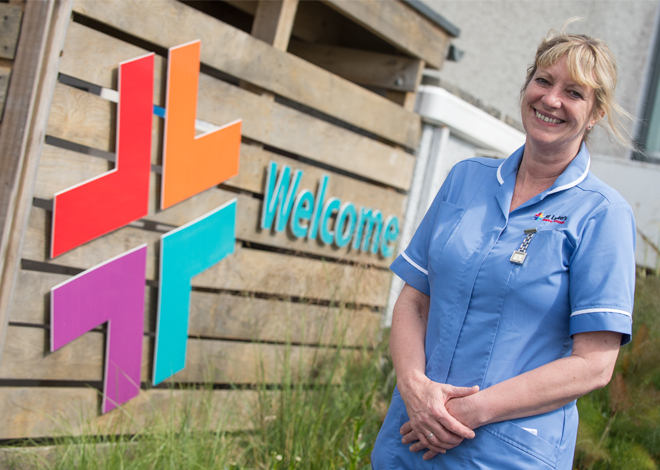 If any visitors have been unwell with flu like symptoms or an upset stomach we ask that they call us first to speak to the nurse in charge before visiting. Can my visitors stay overnight? In special circumstances we do accommodate visitors overnight when they may not wish to leave you. There is limited overnight accommodation for visitors. There is a list of local B&B’s at reception. Is there a child friendly area? Yes, we have a play room available for visiting children. We ask that children be accompanied by an adult at all times. Is there a space for me to spend time with my family away from the ward? Yes. We have a number of private patient and family rooms that can be used for quiet time together with your friends and family when they visit. Free car parking is available on site for patients and visitors. Breakfast is served from 7.30am, lunch at 12pm and evening meal at 5pm. A member of the catering team will visit you daily to allow you to select your meals for the day. You will be asked about your likes and dislikes and how you prefer your food to be prepared. If you have any special dietary requirements please let us know. Your family can also bring food in for you, this can be kept in a fridge in the ward area, and will need to be clearly marked. Is there any entertainment available? Yes. In addition to TVs with DVD players we have a range of DVDs, standard and talking books, CD players and CDs and a range of daily papers and magazines available for patients to use during their time at our specialist unit. A smoking room is available for patients who wish to smoke. There is no smoking facility available for visitors inside the building. There is a designated area away from the ward which patients and families can use to smoke. We would encourage you to use the smoking bins provided to dispose of your cigarettes after use. Yes, pets may visit by arrangement with the nursing staff. Yes, wireless internet access is available for all patients and family members. Please ask a nurse for the code. Can I get a record of consultation? If you would like a copy of your consultation with any member of our team then please ask and we will be happy to provide it to you. Do you have outpatient clinics? There are outpatient clinics available on a Monday and Tuesday at Derriford Hospital. At these outpatient clinics the St Luke’s consultants are available to see patients with specific palliative care needs. We are available Monday to Friday, 8.30am to 4.30pm. What other support is available at Derriford? There are multiple other services available at Derriford to help support you. We work closely with the Pastoral and Spiritual Care Team, who provide 24 hour support for patients, families and friends for those of any faith, or those who have none. You can contact them through the hospital switchboard on: 0845 155 8155. Our catchment area is Plymouth and the surrounding areas of South West Devon, including Salcombe, Kingsbridge, Ivybridge, Tavistock and the Moors. We also cover East Cornwall including Saltash, Torpoint, Looe, Liskeard, Callington and Launceston. The service is available 24 hours a day, seven days a week, at a time of crisis, or a rapidly changing situation. A crisis can take many forms, it may not just be medical, it could be because of a social breakdown for a terminally ill patient, where their care support network has temporarily broken down. What hours are office staff available? Our office hours are Monday to Friday, 9am to 5pm. Call us on 01752 964230. Out of office hours you can leave a message on our answer machine, which is checked at regular intervals 24 hours a day. What is required by the crisis team? We will need somewhere for staff to wash their hands, and access to kitchen and toilet facilities. We ask you not to smoke during our visits. 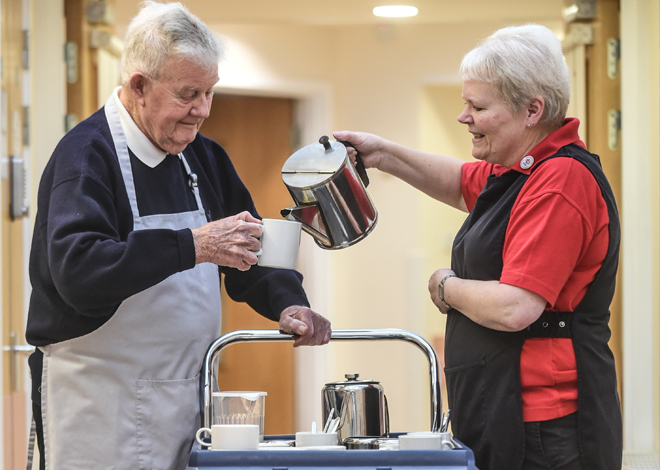 This service will care for patients at home including those in residential and nursing homes, in a time of crisis for a period of up to 72 hours; 7 days a week. Access to this service is by referral only, by your GP, district nurse or other healthcare professional. What education facilities does St Luke’s have? 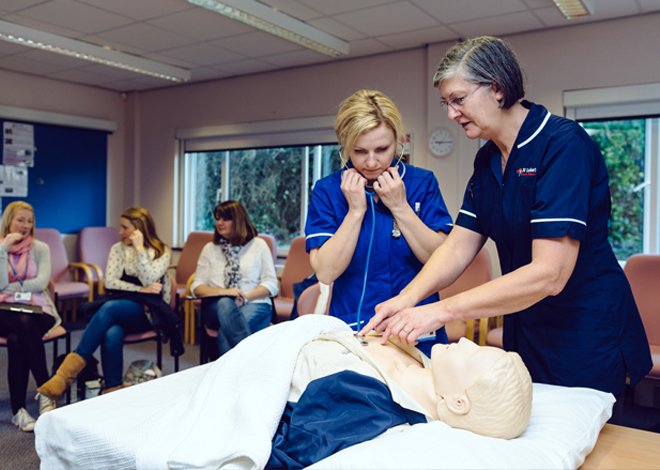 We have a number of rooms which we use for the delivery of our courses which are situated at our distribution centre in Plympton and at our specialist unit at Turnchapel. Is parking available when I come to you for a course? At Turnchapel, parking is limited and department visitors are encouraged to car share or park on nearby public roads or car parks. At the distribution centre in Plympton, parking is available on nearby public roads. There are designated disabled parking spaces on both sites. I’m looking for a room to hire, are your education facilities available? Yes. Our rooms are available for hire, for more information please contact us. Do you have resources available to help me in my learning? Yes. Our library, based at the Turnchapel site, is stocked and regularly updated with a range of palliative care journals, research papers, publications, books, DVDs and resource files. These resources are available to those employed by St Luke’s and those attending St Luke’s courses. Librarian assistance is available on Mondays between 9.30am – 3pm. Booking a course is easy, simply click here, to find your course and complete the details to book. Payment can be made via credit card or invoice request. To pay by credit card please contact the education administration team on 01752 964250, for invoicing, please submit details with your application form at least four weeks prior to the start date of the course. Please note that payment is required prior to the course start. Thank you, your support means so much to us. 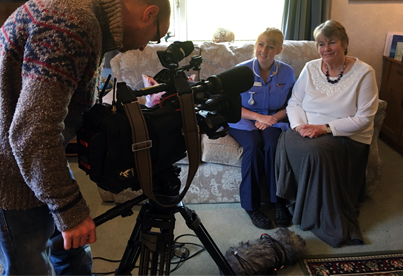 By donating you are helping us to care for patients in your local community. However much you can spare, every penny will make a difference to someone’s life in your community. We want to make a difference and with your help we can. You can make a donation by clicking here, either as a one off donation or as a regular gift. It costs over £4 million to run our services each year. 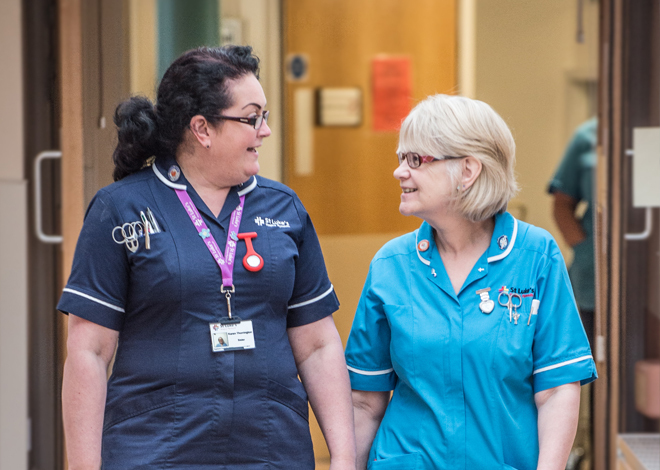 Your donation will go towards the day to day running of our specialist unit, allow our community nurses to visit patients in the comfort of their own homes and ensure that our patients receive the best possible care and medical treatment. Your donation makes a real difference to over 3,400 patients every year, so thank you. Almost anyone! St Luke’s is committed to ensuring equality of opportunity for everyone who wants to volunteer with us. Our volunteers include students, people with personal connections to St Luke’s, job seekers, retired workers and former staff. We are always looking for volunteers, and have a number of roles available. Fill out our online application form or contact us to find out where you can help. Do you offer training to volunteers? Yes we do. Depending on the role we will ensure that you receive all the necessary training required for the role. How much time do I have to give as a volunteer? As much as you want. We’ll tell you what we’re looking for and you can tell us what you can do and when you can do it. Some people volunteer for a couple of hours a week, others help out at one-off events or during school holidays. I would like to fundraise for St Luke’s, how can I get involved? There are lots of ways you can fundraise for us be it through volunteering, taking part in one of our organised events, or hosting a your own event. Please visit our events page or contact our fundraising team for more information. I have raised money for St Luke’s, how do I pay it in? 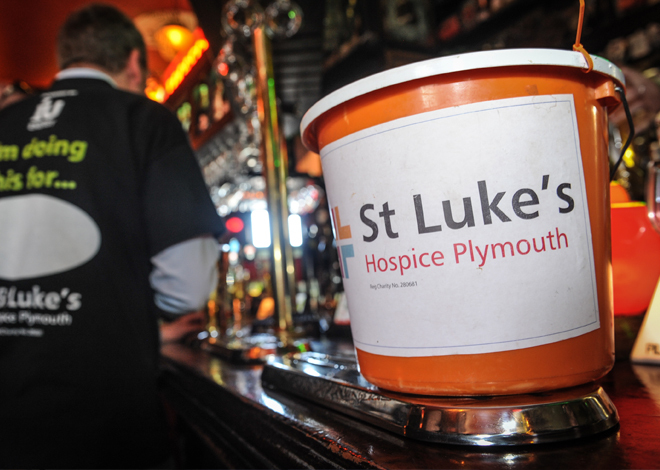 Thank you so much for raising money for St Luke’s Hospice Plymouth. Your hard work, and the money you have raised, will help us care for people living with a terminal illness and their families. You can contact our Supporter Care team at funadmin@stlukes-hospice.org.uk or call 01752 492626. If you’ve raised money online via JustGiving or MyStLuke’s you don’t have to do a thing, your sponsorship money will come directly to us. Take a look at our events page to see all our upcoming fundraising events. How will my fundraising help St Luke’s? The money you raise through your fundraising will go a long way to help care for patients in your local community. Every penny raised will help provide end of life care and support to patients and their families at home, at hospital or in our specialist unit. With your help we can make a real difference, so thank you. We will support you every step of the way with your fundraising. If you are hosting your own event we will send you a fundraising pack and help you promote your event. If you are taking part in one of our flagship events your registration pack will include plenty of advice and training tips in the lead up to the event and of course we will be there on the day itself to help cheer you on! I‘ve registered for an event, but I’ve never raised money before, how do I start raising sponsorship? The easiest way to start fundraising is by setting up a fundraising page at www.mystlukes.org.uk you can then share your page by email and on social media sites. 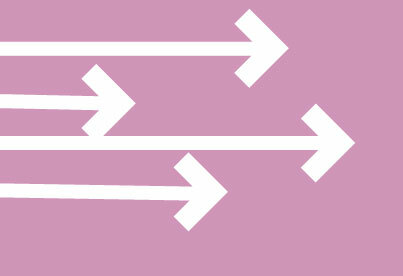 If you’ve registered for an event you will be sent a fundraising pack full of hints and tips for fundraising. Yes we do. You can raise money online with your own page at My St Luke’s. It’s easy to set up and more cost effective for the hospice as we receive your money quicker. You can also personalise your page and it’s safe and secure for your supporters to use. 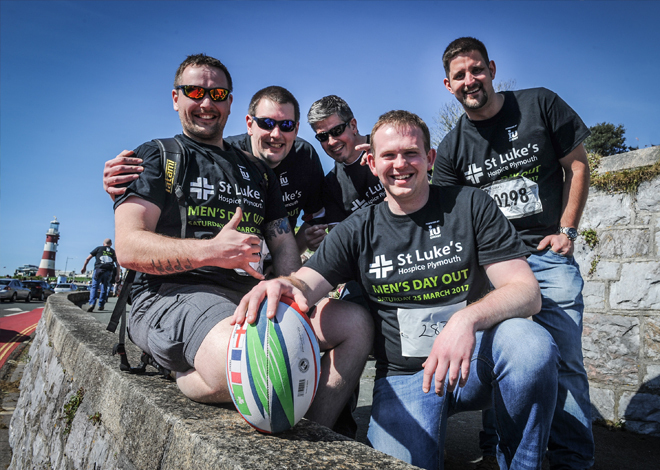 To get started just click on the My St Luke’s link above and select the event that you’re taking part in to get started. Once your page is set up you can share it on social media sites or by email to start fundraising. I am having trouble registering for an event, what should I do? Don’t worry if you are having trouble registering. Simply give our fundraising team a call on 01752 492 626 or email funadmin@stlukes-hospice.org.uk and we will be able to help you. How can I claim gift aid on my fundraising? To claim gift aid on your donations you will need to collect the first name or initials, last name, full home address and postcode of each individual donor/sponsor. Please encourage them to tick the Gift Aid box on your sponsorship form when they sponsor you. We legally can’t claim gift aid without these details, so be strict with your sponsors when they complete the form! I‘ve registered for an event and started raising sponsorship but I’m now unable to take part, what shall I do? Don’t panic, if you’re unable to take part in an event that you’re registered for please call our fundraising office on 01752 492626 as soon as possible and they will be able to advise you on the best course of action. We will then be able to assist you, should you wish to participate in another event. It is advisable to let your supporters know that you are not able to take part in the event and find out what they would like you to do with any monies collected. All online fundraising will be received by St Luke’s. How can I become a volunteer and help out at an event? If you’d like to volunteer for one of our events please give us a call on 01752 492626 or email us at events@stlukes-hospice.org.uk for more information and a volunteer form to complete and return to us. Where is my nearest charity shop? 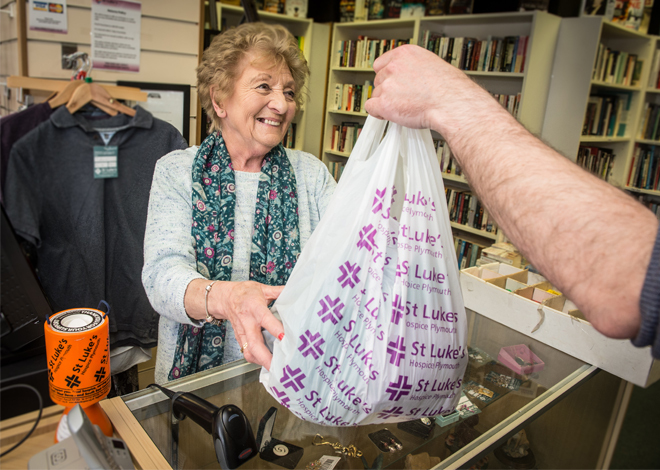 You can find out where your nearest St Luke’s charity shop is here. I have goods to donate to St Luke’s, where do I take them? You can take your donation to any of our charity shops, you can find your nearest one here. You can also take your donations to our distribution centre in Plympton which is open Monday to Friday 9am to 4pm. I am not sure if you will accept my items, how can I find out if you do or don’t? If you have something that you’d like to donate to us, but it isn’t mentioned on our recycling and donating guide, please gives our warehouse team a call on 01752 964450 and they’ll happily help you. – It is returned in an unused condition with our tag attached. – This policy excludes sale items which are non refundable, unless faulty. A credit note or exchange will be offered for such items.